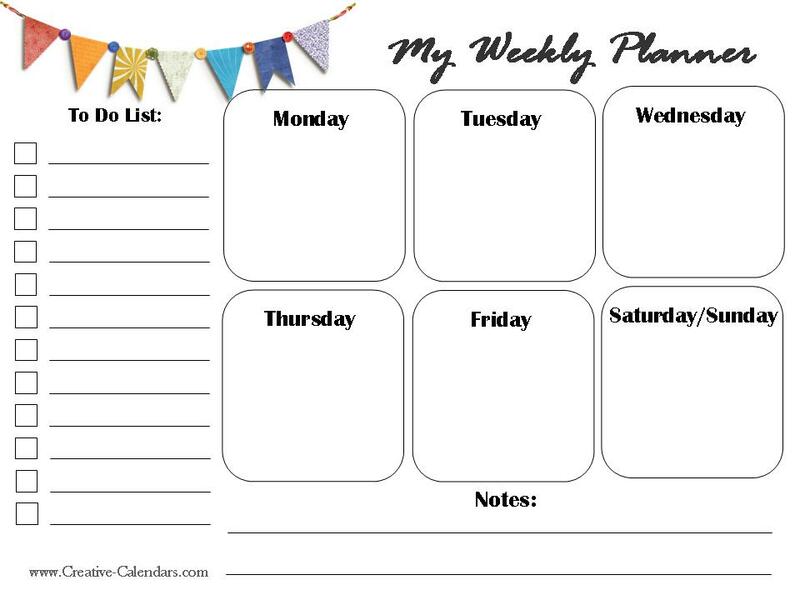 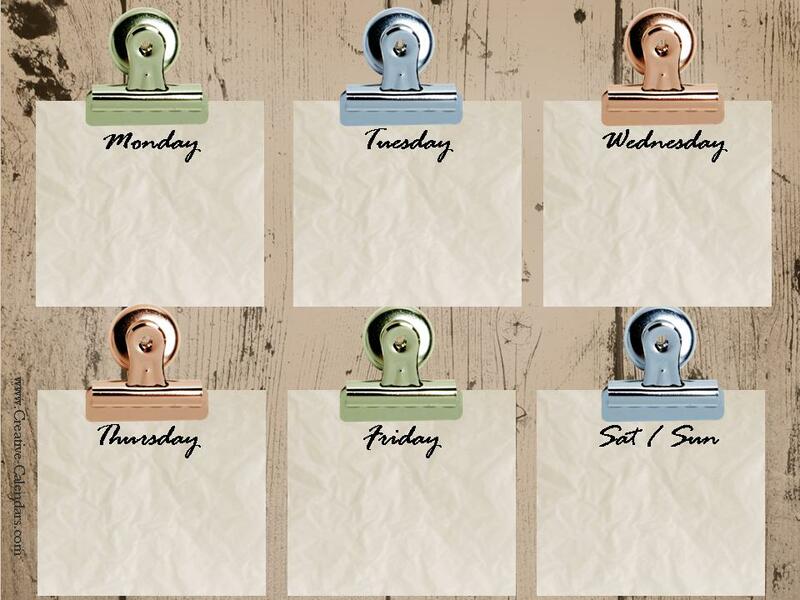 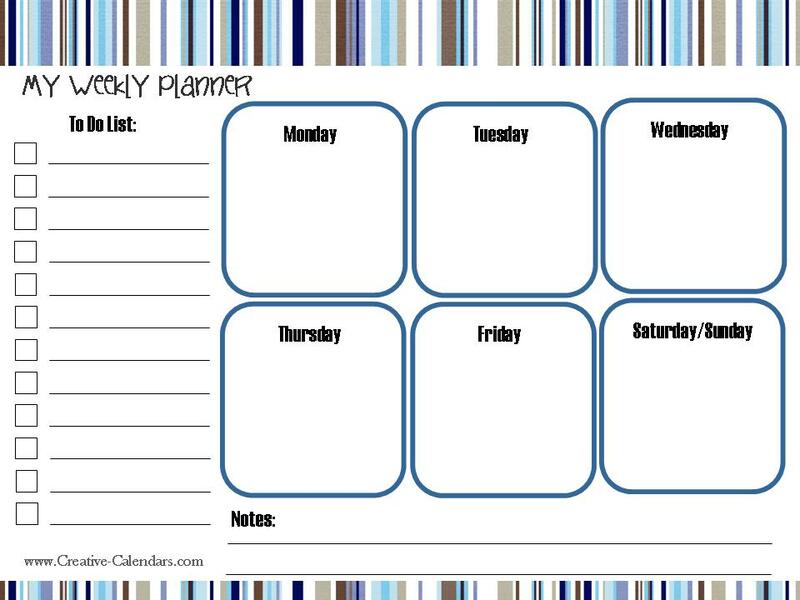 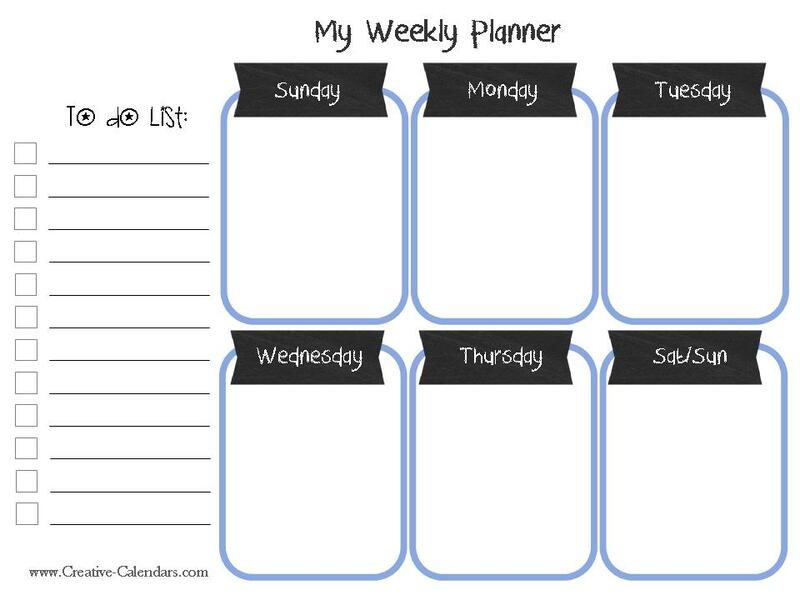 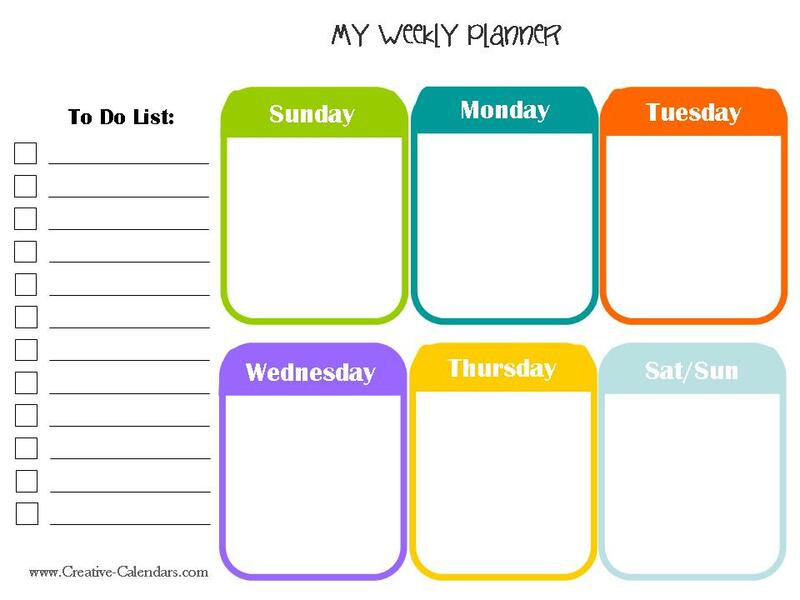 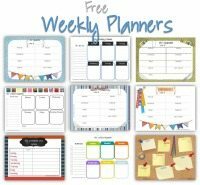 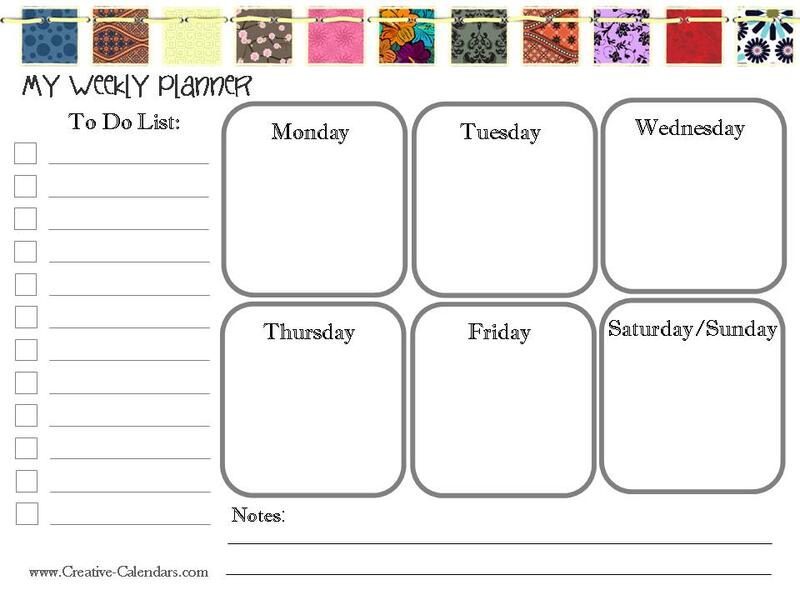 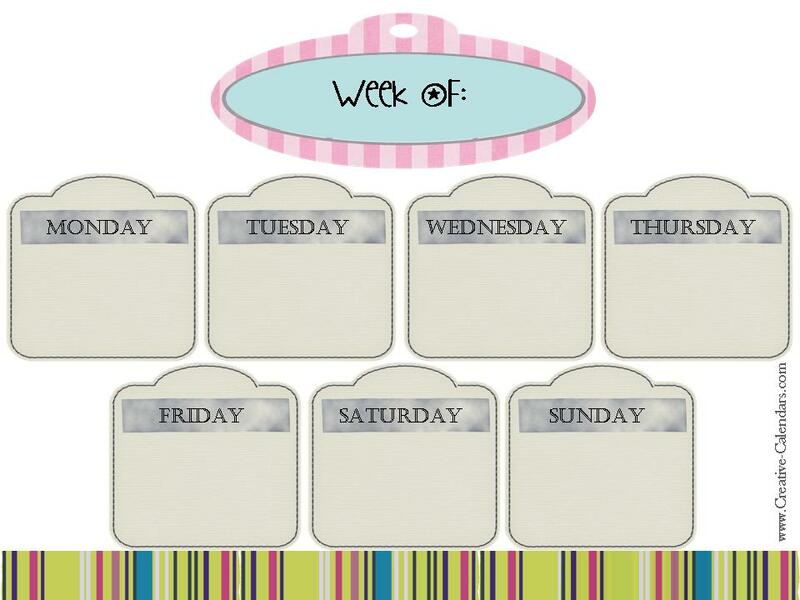 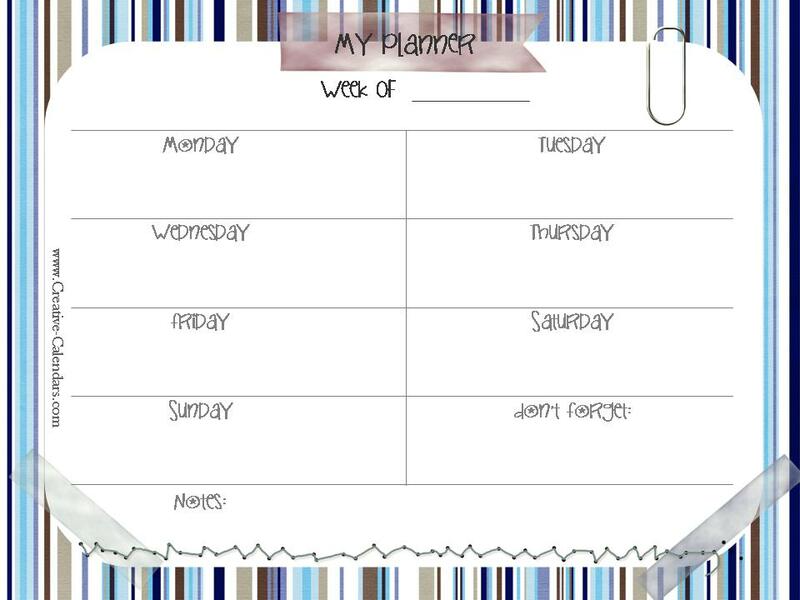 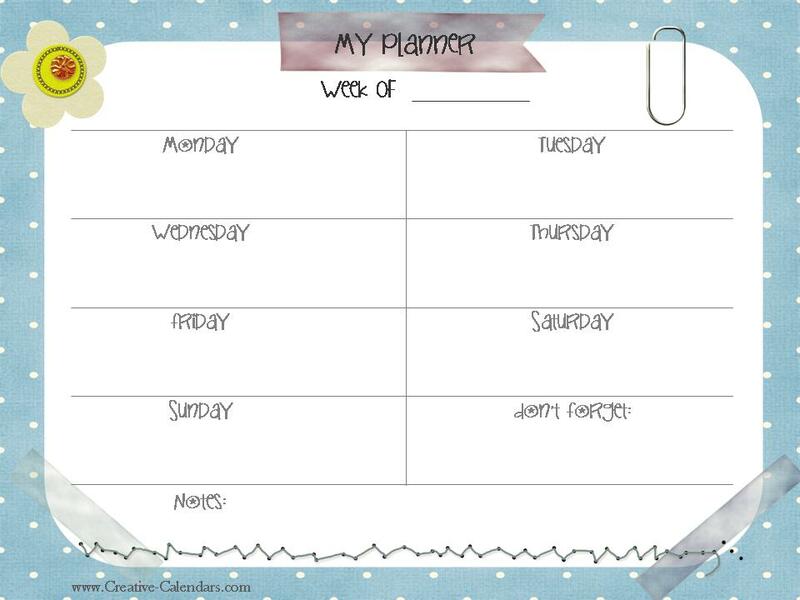 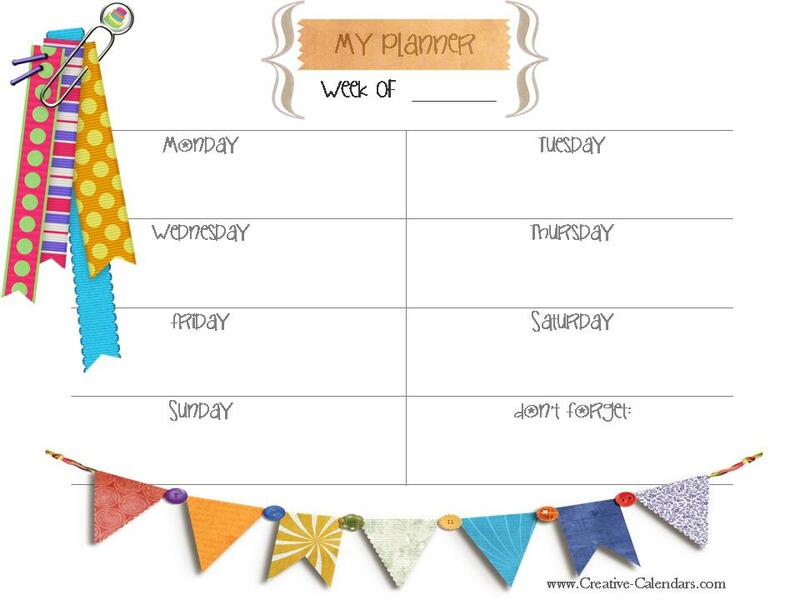 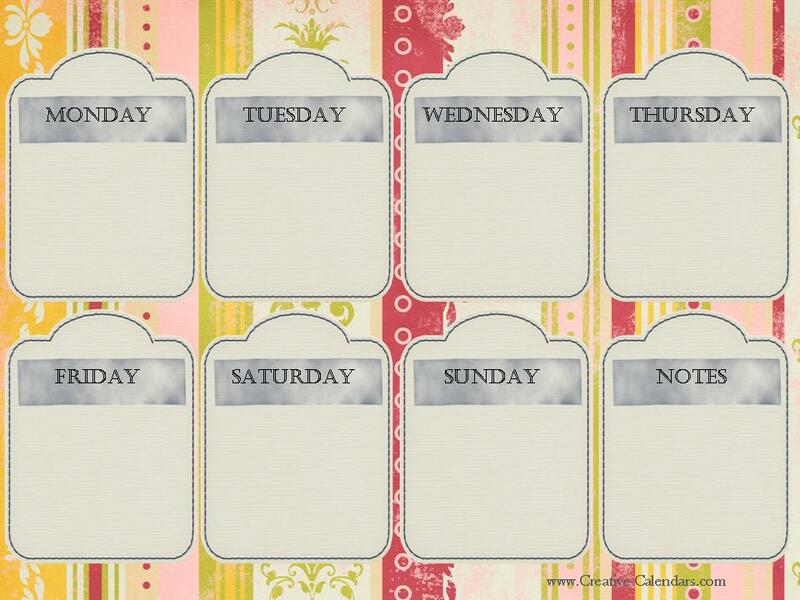 Keeping organized will become a lot easier with these free printable weekly planners. 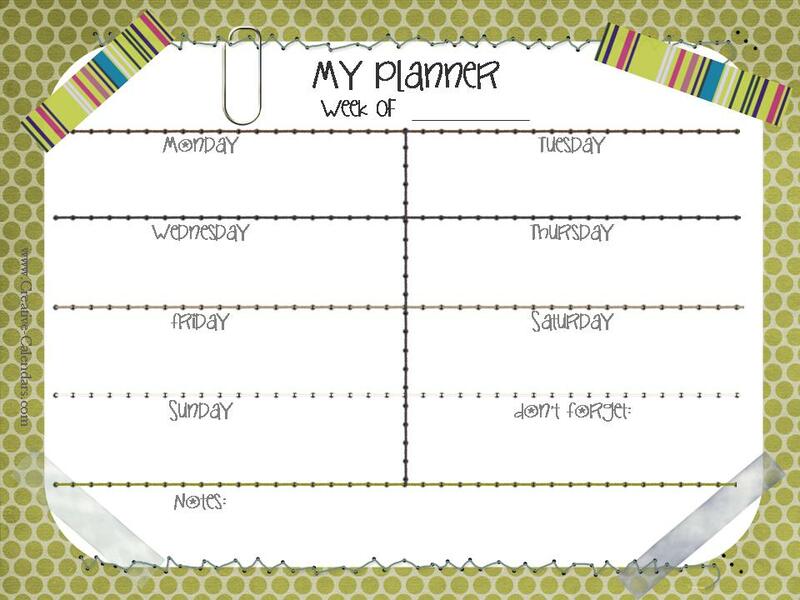 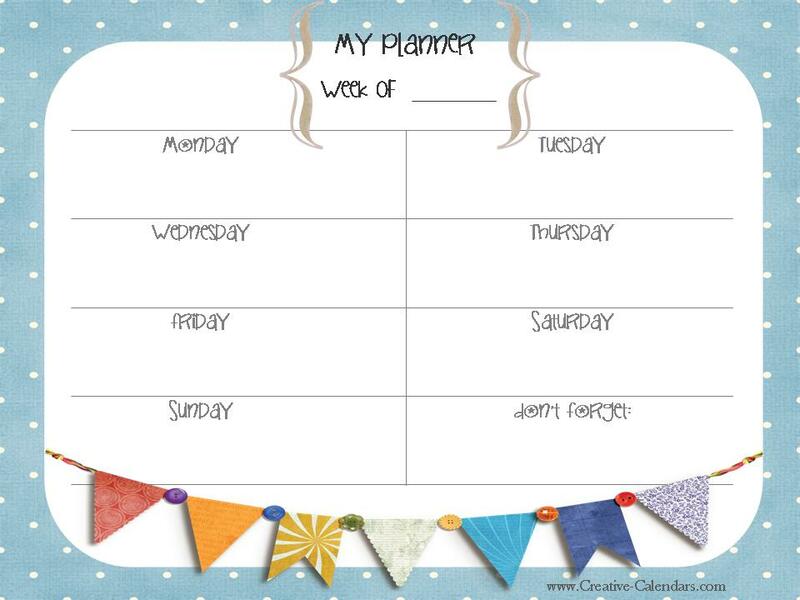 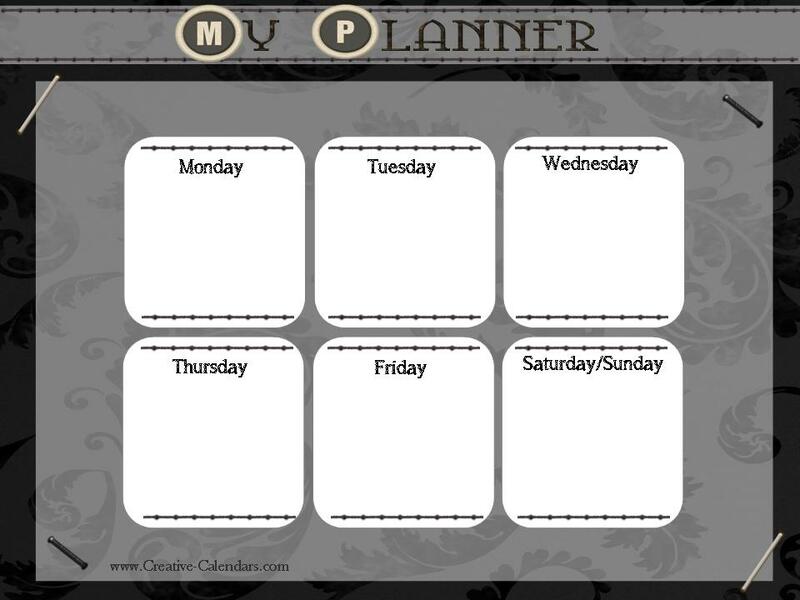 There is a large selection of weekly planners with or without a to do list. 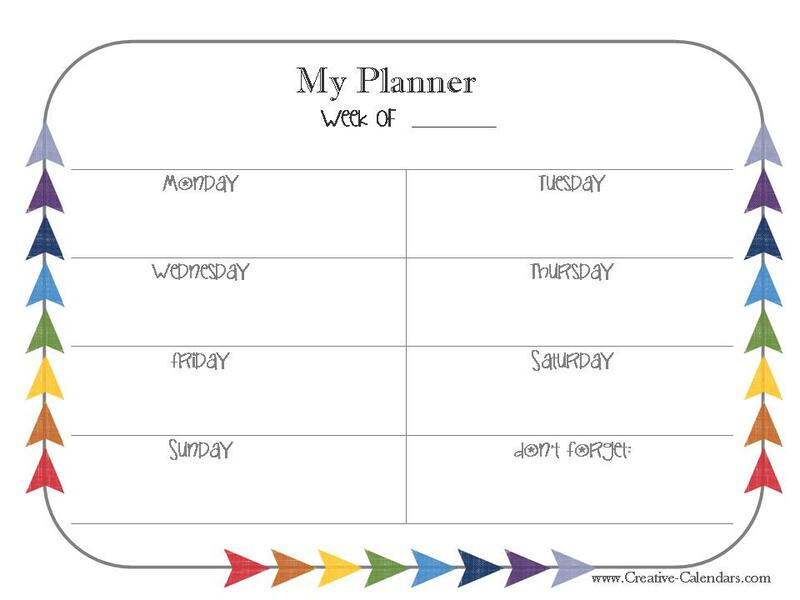 Choose a planner from the selection below and click on it to open or print. 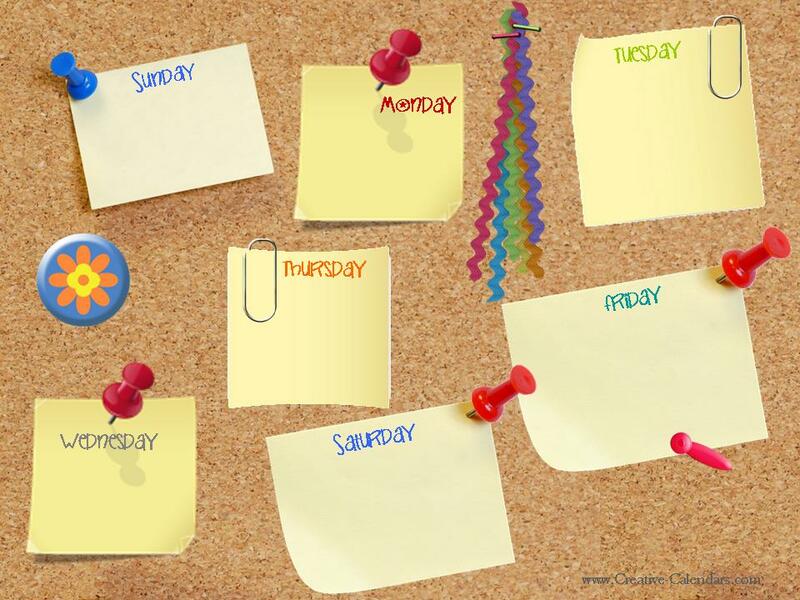 Raising kids can be quite hectic. 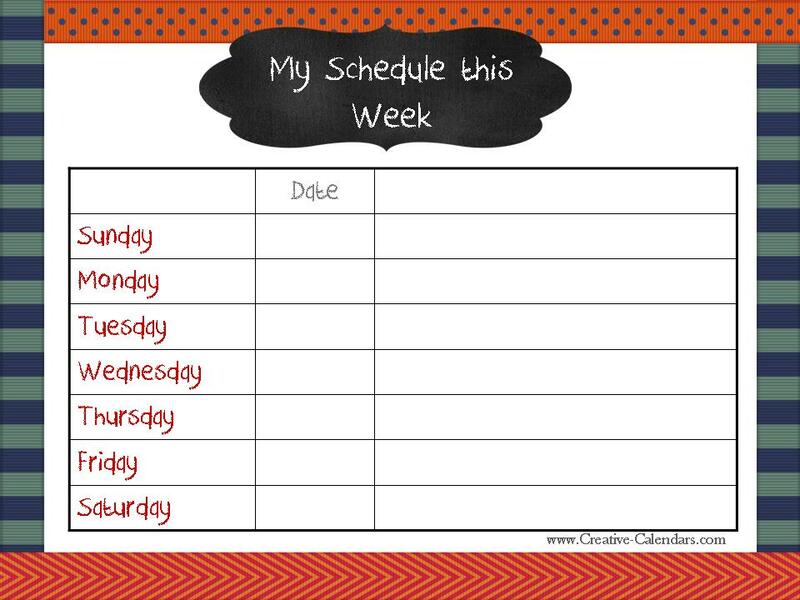 You have to remember when you have scheduled play dates, when their after school activities take place and when homework assignments are due. 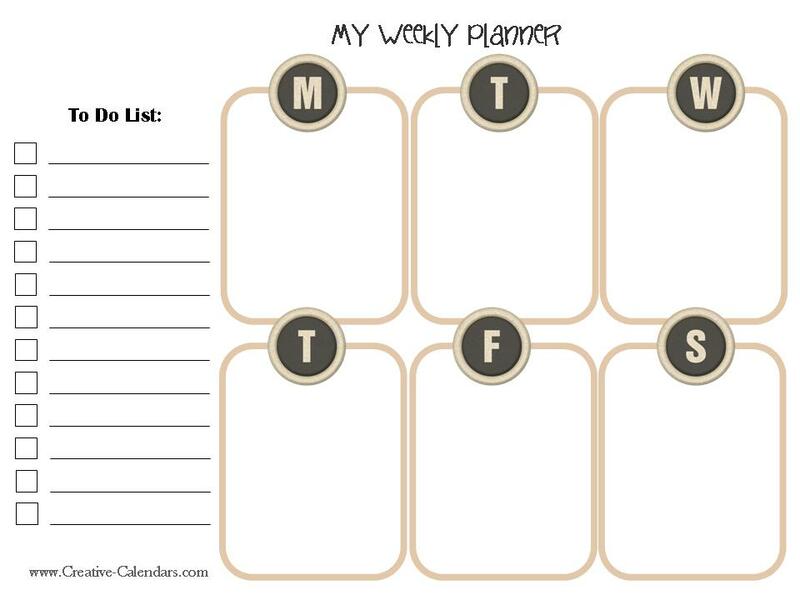 When you have more than one child the task is even more difficult. 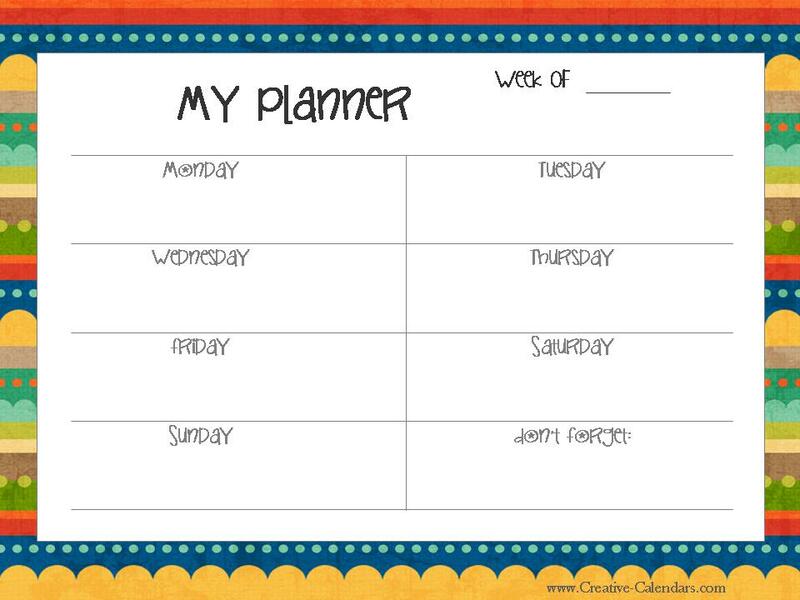 These printable planners are designed to help you organize your kid’s activities and remember where and when they take place.